If there is a tragedy, there is likely a villain. The victims were 20-year-old Brandon Bull of Bronson, Michigan and 19-year-old Cylie Jo Canniff of Coldwater, Michigan AND the couples infant. The child is not only an orphan, he in all likelihood will grow up with permanent brain damage from this poisoning. For more on carbon monoxide and brain damage, click here. As much sadness as the story of the victims should engender, the story of the villain demands anger and justice. This young couple died because the manufacturers of portable electric generators have denied, delayed and pretended for a generation that their death machines are safe because no one would ever use them indoors. Yet these same manufacturers run advertisements where these generators are part of the dream garage. Carbon monoxide deaths and disability are always avoided, especially those from portable electric generators like the Battle Creek carbon monoxide deaths. The U.S. Consumer Products Safety Commission has been trying to make generators safer for a generation. Cars have eliminated 99% of the carbon monoxide emissions. Generators zero. 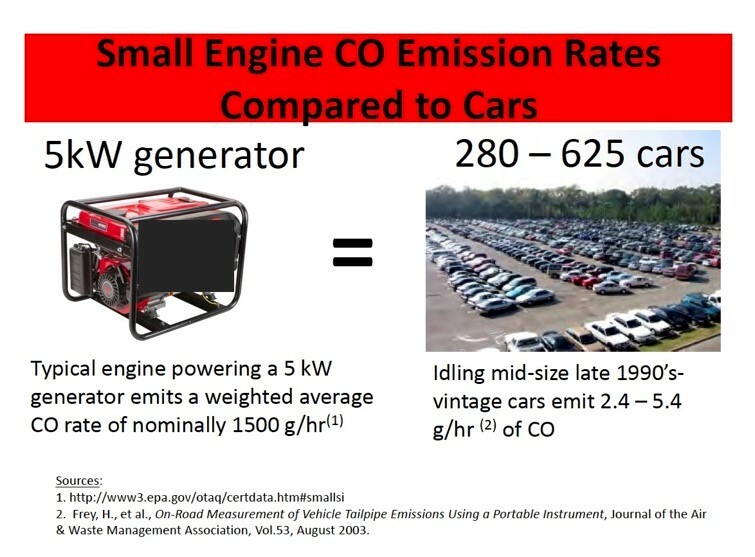 This graphic understates how relatively dangerous these generators are because it is talking about 1990’s cars, not 2019 cars. For almost 20 years the United States Consumers Product Safety Commission (CPSC) has been trying to force generator manufacturers to make these generators safer. The manufacturers know how dangerous these generators are but keep coming up with stalling tactics and marginal fixes that will prevent only the most severe poisonings. But those fixes to prevent the most severe poisonings didn’t save these young people. The reason they didn’t save these victims? Because the manufacturers are just now starting to put in the rudimentary safety device that might have saved this couple. In March of 2017 I personally testified in front of the CPSC about how dangerous these generators were. At the time, it appeared that CPSC was going to be able to force these manufacturers to make their generators as safe as a car parked in a garage. But lobbyists and a change in Administration stopped that progress. For other blogs I have written about this killer, click here. 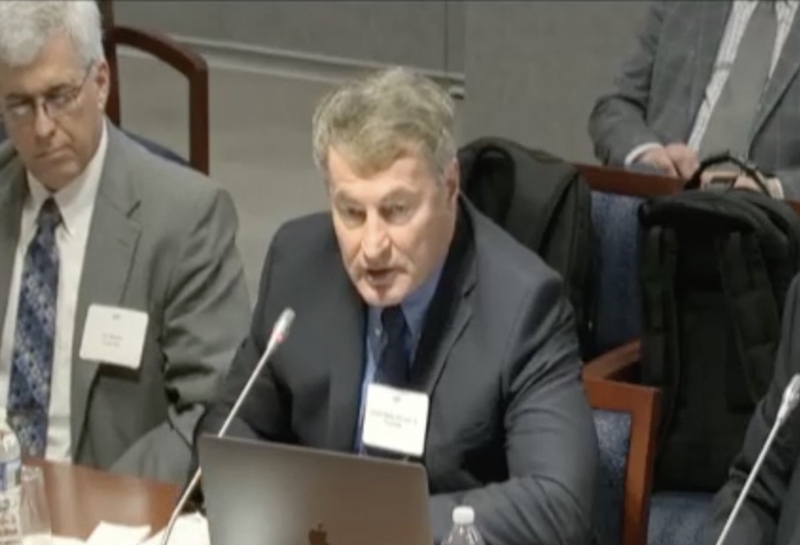 I warned the generator manufacturers at this 2017 hearing in Washington, D.C. that their delay and misdirection actions would cost lives and leave people brain damaged. Tragedy struck again in the Battle Creek carbon monoxide tragedy. Sitting next to me is Joe Moses with Generac Power Systems. The manufacturers came up with an alternative that wouldn’t prevent most poisonings but was supposed to prevent all deaths. The theory was that if they put an automatic shut off on their generators when the ambient air concentrations of carbon monoxide got to 400 ppm, no one would die. But this generator didn’t shut off and these two people died and this little boy will grow up without his natural parents. Why? Because the manufacturers only talked about making portable electric generators safe for an entire generation. This 19 year old mom was two years old when the CPSC started the regulation process to stop these killer machines. How dangerous are these generators? These little lawn mower sized engines produce more carbon monoxide than a thousand new cars. Yes a parking ramp size garage with all cars idling wouldn’t be any more dangerous than this little engine that could kill. Who would represent someone so foolish as to run a generator indoors? I would. I would especially represent this innocent child who will struggle without parents and likely brain damage. The government hasn’t stopped this killer. Only trial lawyers like me can.